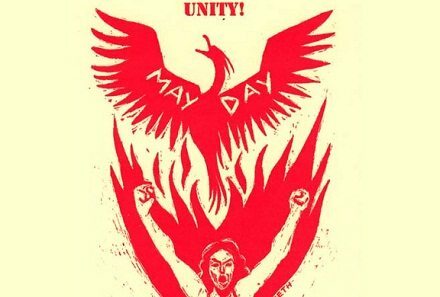 International Worker’s Day, or May Day, is generally more subdued in the United States than it is in many other countries but this year—following a year of OWS activism—the U.S. landscape was very different and the media seemed unsure how to approach it. Depending on where you looked, yesterday’s May Day activism and the general strike called for by the Occupy movement in the U.S. was described as a violent clash with police, a largely peaceful day of demonstrations, a test of the Occupy movement’s future, a battle against being “pulled to the right” by the Democratic Party, a success, a disappointment, a bunch of “yelling and screaming,” an occasion to advocate for immigrants’ rights, a source of temporary concern for commuters, a threat to democracy, the savior of democracy, or an interruption to the 2012 presidential campaign. Many media outlets treat this diversity—of people, causes, and perspectives—with a “does not compute” mentality and retreat into picking from among the familiar narratives of the past. But the fact is that May Day showed up differently in different localities around the country and the world, reflecting various political and economic realities and local traditions of activism.